Currently, to meet the continuous challenges of the business environment, which increasingly becomes more dynamic, competitive, and global, organizations are innovating in the form of a relationship, to respond with greater flexibility and agility to change and adapt to a new world reality. In this context, new organizational structures are emerging based on collaboration, such as Virtual Enterprise (VE), the setting that lets you explore a business opportunity emerging in the best possible way. Due to the characteristics of the life cycle of VE, one sees a strong need for the use of information systems based on different technology platforms, enabling it to establish a quality increase in the forms of interaction, share resources and information among network members, and look for a richer and more complex involvement of people in effective ways of collaboration. Given this context, this paper proposes the implementation of new collaborative technologies, Enterprise 2.0, aiming to support information management and knowledge management in VE. In the actual business environment, profound changes in the nature of technology, demographics, and the global economy are giving rise to new models of production based on community, collaboration, and self-organization (Tapscott & Williams, 2006). These changes coupled with the growing complexity of creating value are making that collaboration a crucial factor of competitiveness especially for small and medium enterprises (SMEs) due to the current socioeconomic environment which increasingly requires more frequent participation in these collaborative networks. In this sense, companies that realize the benefits of collaboration and that easily adapt, streamline their activities in research and development, and adopt new technologies will be those that are most likely to achieve high productivity and sustainability. Thus, working in collaboration with other networks allows organizations to achieve a competitive advantage in a faster, cheaper and with less risky, and causing them to set aside their traditional activities. Collaborative networks are still in permanent constitution, adaptation and learning. In literature there are a variety of networking events such as: Virtual organizations, Virtual Enterprises, Virtual Teams, Supply Chain Dynamics, Industrial Clusters, Professional Virtual Communities, Collaborative Virtual Labs, among others. 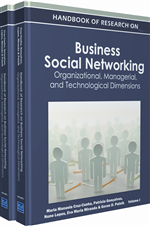 This chapter focuses on the Virtual Enterprise. Virtual Enterprises due to the characteristics of your configuration can be considered a response to the requirements of cost effectiveness, time and quality in today's emerging global environment. However, taking into account that the structure of VE requires the distribution of inter organizational processes, resources and activities, it is necessary to have a high level of coordination of costs and measures to avoid possible delays in deliveries, quality problems of procedures, leaks of information and loss of knowledge that can occur throughout their life cycle. This implies a proactive management of VE is necessary, which certainly brings new challenges in managing many areas, especially in managing information and knowledge. Because of the extensive communications and extensive coordination capacity, it needs this new organizational setup based on networks of collaboration. In short, there is consensus in the literature that the new organizational environment requires a strong need to reform and modernize the approaches of information management and knowledge management. These solutions must provide an information exchange and a more agile and simplified collaboration, and be based on new learning theories and operational organization leveraged by recent collaborative technologies that have emerged in recent years. However, there is a lack of study and implementation of collaborative technologies and emerging concepts such as Web 2.0 technologies in the context of organizations in networks. This paper proposes the application of new collaborative technologies: Enterprise 2.0 in order to give information management and knowledge management support in Virtual Enterprises. The proposal originates from the study and analysis of critical success factors in the context of a real case of Virtual Enterprise formed in the State of Sao Paulo, Brazil. An overview of issues related to the concepts and innovative features of the Virtual Enterprise is underlined in Section 2. Section 3 describes the details of new collaborative technologies; the wide variety of Web 2.0 tools; the key facet of Enterprise 2.0 to helping organizations to become more flexible, adaptable and responsive; and the risk and benefits potential of this technology. The remainder of this chapter is organized as follows. The related work to our research is mentioned in Section 4. A summarized case study is presented in the Section 5. Finally, Section 6 presents the sketch of intend of future works; and in Section 7, the chapter is concluded. Collaborative Technologies: Support tools that help in the work of networks organizations. Virtual Organization: Dynamic set of companies defined around a set of resource-sharing rules and conditions. Boundaries between organizations are fuzzy. Web 2.0: Refers to the new generation of web-based services and communities characterized by participation, collaboration and sharing of information before users. Collaborative Networks: New forms of collaboration that emerged as response to transformations of the business environment. A Collaborative Network acting as a powerful mechanism to achieve strategic objectives in a time response, quality and cost effective manner. Enterprise 2.0: Application of Web 2.0 technologies in the context of organizations. Collaboration: Involves any administrative practices to adopt close cooperation between business and organized independent. Virtual Enterprise: Temporary alliance of enterprises that come together to share skills and resources in order to better respond to business opportunities, and whose cooperation is supported by computer networks.